I have packed on 5kg in two weeks thanks to Australia’s good food. Australians are proud of their food. We know that because Tourism Australia is intent on making everything remind us of food. 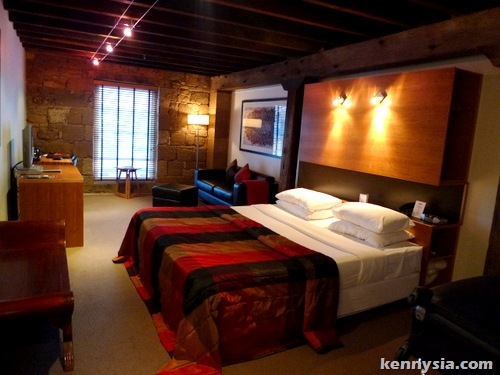 Even the hotel we stayed at in Hobart, the Henry Jones Hotel, was in its previous life - a jam factory. 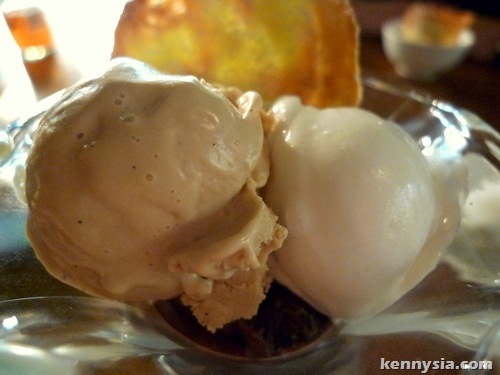 Here’s a quick guide of some of my favourite things to eat and drink while touring Australia. Flat White. It’s basically latte with less milk, so the coffee tastes a lot stronger. I MUST have a cup of this every morning to start my day. 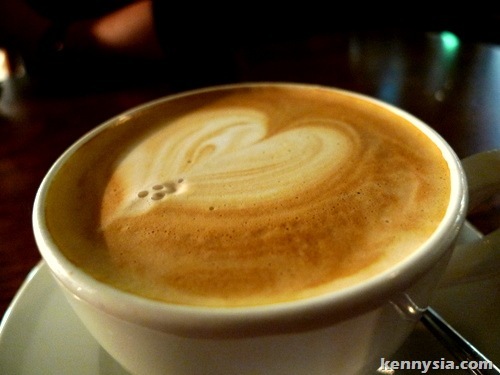 You can’t get flat white at Starbucks back home, but this type of coffee is popular all over Australia. The best ones I had are at Eucalypt Coffee Art in Port Arthur, Tasmania and Fresh in the Blue Mountains near Sydney. 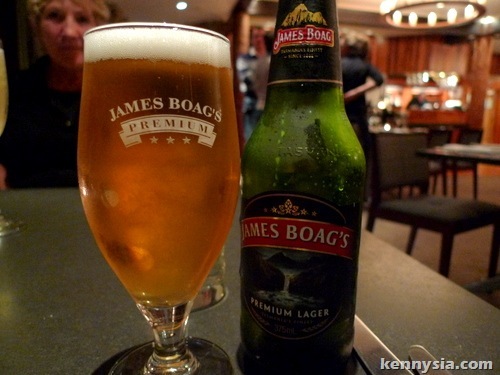 James Boag’s Beer. Not readily available outside of Australia, this Launceston beer has a sweet, refreshing, crisp finish to it. Some of the best beers I’ve had in life are brewed in places with ready access to unpolluted spring water. It’s an ingredient Tasmania obviously has plenty of. 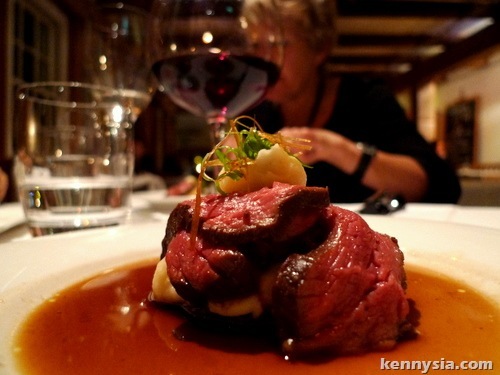 Freycinet Lodge in Tasmania had the freshest, juiciest, most succulent grilled scallops I’ve ever had in my entire life! 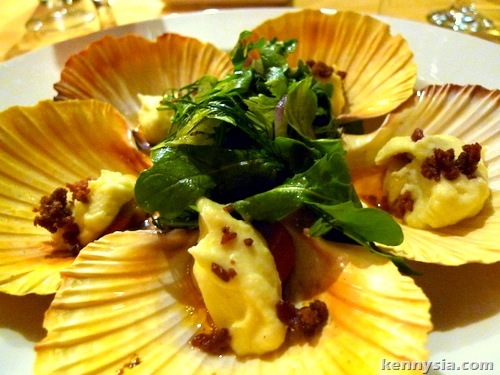 I always like scallops, but I never knew it could be THIS good. The cafes surrounding Sydney Fish Market has pretty good grilled scallops too. I always order the ones still attached to their shells, sitting on a pool of their own juices. Those are most delicious. Grilled Crayfish. Also at Freycinet Lodge, Tasmania. 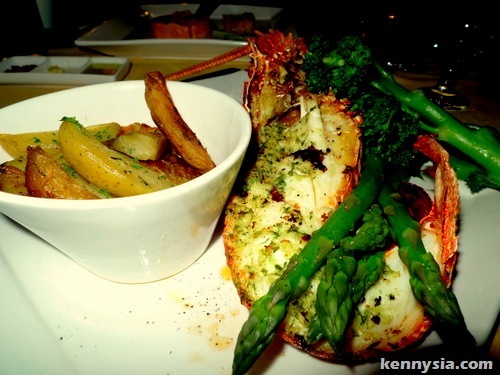 A crayfish is like a lobster, but with tender meat and juices that would burst inside your mouth with delight. Salt & Pepper Squid. 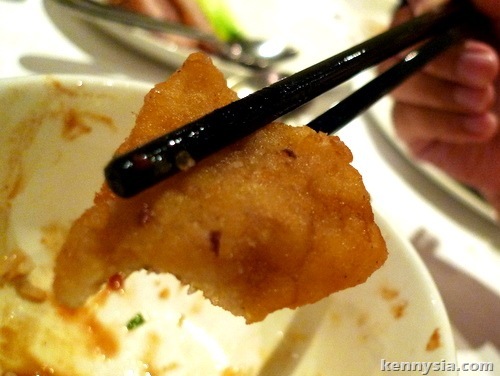 I had salt & pepper squid all the time when I was living in Perth. Since I left, I never found a single restaurant in Malaysia who can do squid the way I like it. Me Wah Chinese Restaurant in Hobart and Cafe Sydney in (duh) Sydney has the absolute best-tasting fried squids ever. 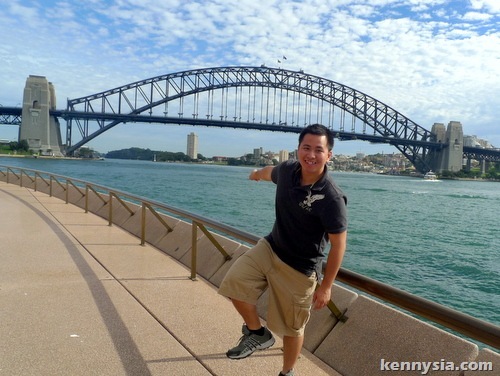 The latter has an awesome view overlooking the Sydney Habour Bridge. Tasmanian Salmon. Order it grilled, smoked or raw. Order it with cheese, bread or on its own. Order it anyhow you like. 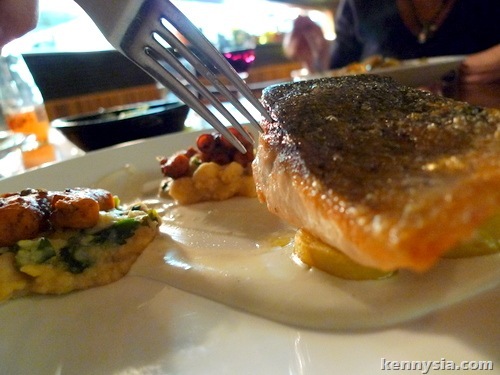 Salmon in Tasmania is simply legendary. Nobody should leave Tasmania without at least trying the salmon there. 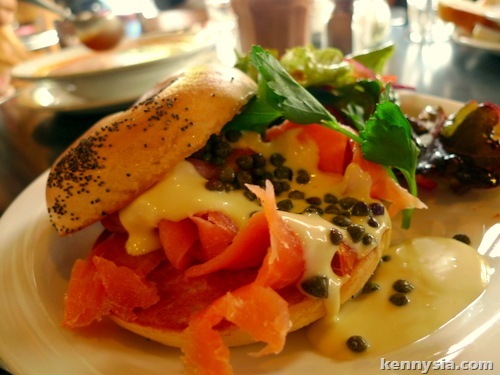 My favourites are the salmon bagel I had at Retro Cafe and the grilled salmon at Smolt – both in Salamanca Market, Hobart. You can probably tell by now that seafood is BIG in Aussie. 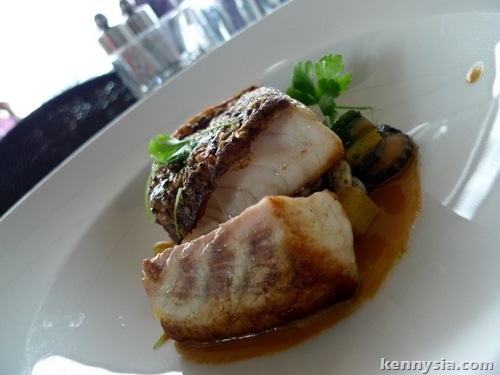 The combination of fresh seafood selection and well-trained chefs is what make it so good. It’s too good to miss out in Australia. Of course, not everyone is gonna dine at restaurants everyday lah. 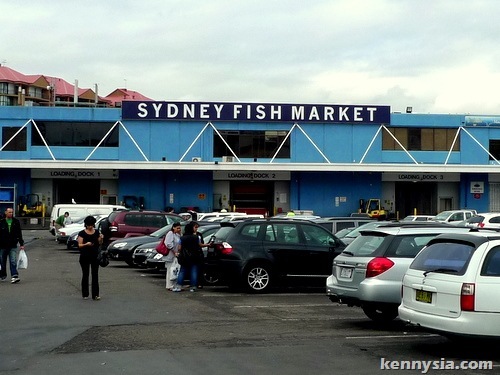 Just before we left for the airport this morning, Cheesie and I ditched our sucky hotel breakfast and dropped by Sydney Fish Market for a last minute taste of Australian seafood. Over here, salmon, tuna, oysters, abalones, scallops and mussels are hauled up from the fishing boats everyday, then cooked and served directly onto our plates. It’s ridiculously cheap by Aussie standards too. we had a huge 160g serving of tuna sashimi to share between us for just AUD 12 (RM36). After such a short but delicious taste of what Tasmania and Sydney have to offer, I am determined to return once more to explore more of Australia’s cafes and restaurants. Of course, the downside to eating all these good food is all the exercise I must to do to work the calories off. ...by climbing all the way to the top of Sydney Freakin’ Harbour Bridge! I have to agree, seafood here is BIG and dam frikking good. The fish especially. You can't get such smooth texture in Malaysia unless imported. I love life in Sydney, the food part especially. didn't know there's salmon in Tasmania. How come they didn't do sushi out from it? OMG, I WANNA GO CLIMB A BRIDGEEEEEEEEEE. 11:34 PM, 1 May 2010 | Link | Reply tiffanyk. seriously miss Australia. Next on the list, bungee jump in Queensland. All these food photos are making me so hungry...I'm gonna get out and grab a bite! a flat white coffee has the same amount of coffee shot as a latte.. the difference is a flat white has no froth and a latte has froth..
WHAT THE HELL... i thought you spent like 4 years??? in perth and you dont know how flat white is made??? is the same as latte with no froth.. and for fern... i believe the "flat white" you made for "3 years" is not a flat white.. is just a white coffee that you can get in McDonald. The food looks real good! James Boag = Vegemite Beer. It's ordinary; should have tried Cascade instead. I wanna go to Australia..sob.. 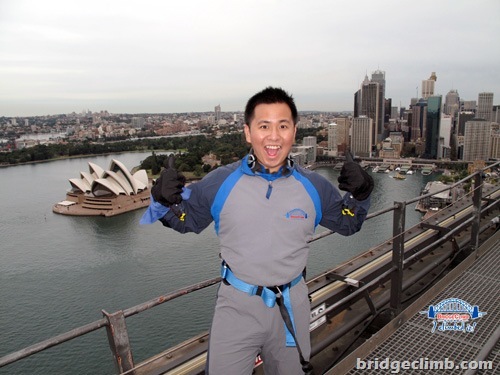 I would like to try climbing the Harbour Bridge if I go to Sydney next time! I tried crossing the bridge on foot in the wee hours of the night before - damn long walk can! May I know how much you spend on your trip? You went to so many places, normally how much you spent? A food post for a change? Tasty choices. 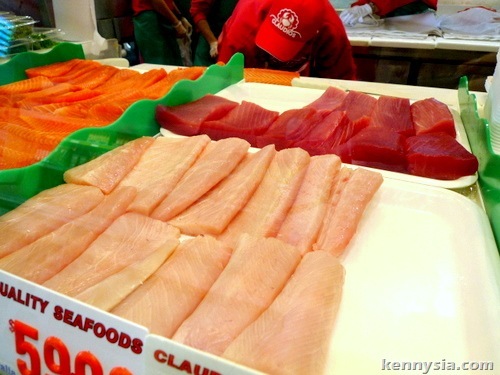 Indeed, seafood needs no extra seasoning, marinade or sauce, they just need to be FRESH. Nice food in sydney but what is the cost of those? expensive!!!? gawdammit. it's now 2am and you just made me hungry! Sydney is really much better than Perth (so boring there), man..
Yah one thing I miss from UK is the salt + chili squid from the Chinese takeaway haha. nvm the working out. u have your own gym now, right :) so u can work and workout at the same time.